Many people who have a single missing tooth choose not to replace it. They may believe that since they can still chew relatively comfortably, there is no real reason to fill in the empty space. They also might not be concerned with aesthetics. However, replacing even a single missing tooth is important! Over time, the bone that once supported the tooth will deteriorate. The surrounding teeth may also drift out of place, leading to misalignment and the risk of further tooth loss. Here are Family Dental Practice of Newington, our team is well-equipped to help you close the gap, prevent future oral health problems, and enable you to once again enjoy all the benefits of a complete, fully functional smile. A fixed bridge, sometimes called crown and bridgework, is a custom dental prosthesis that gains all of its support from your remaining natural teeth. Crowns go on top of the teeth next to the empty space (the abutment teeth), and an artificial tooth hangs between them to “bridge” the gap in your smile. A fixed bridge can be quite strong and aesthetically pleasing. It can also prevent your natural teeth from drifting out of place and restore full dental function. It is a popular tooth replacement treatment because it is effective, fast, and relatively affordable. 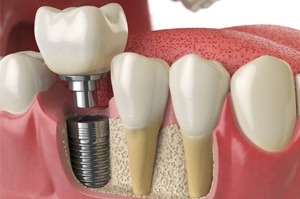 A single tooth implant does not rely on your remaining natural teeth for support. Rather, it is a small titanium post that gets placed beneath the gum line in a minimally invasive surgery. After the single implant placement in Newington, it bonds with the tissue around it over a period of several months. The bond eventually becomes so strong that the implant is able to serve as the substitute for the root of the missing tooth. Eventually, our team places a custom-made crown on top of the implant to replace the visible portion of the lost tooth. Placing a fixed bridge requires that we modify the abutment teeth so they will fit well underneath their crowns. A dental implant, on the other hand, allows your natural teeth to remain as whole and healthy as possible. Because the implant fuses to the bone around it, it helps to keep the jaw strong. A fixed bridge lacks this advantage. With proper care, a dental implant has the potential to last a lifetime. A bridge may last for just 10 – 15 years. A dental implant replaces a tooth’s entire structure, which means that it may look and feel more natural than a fixed bridge. 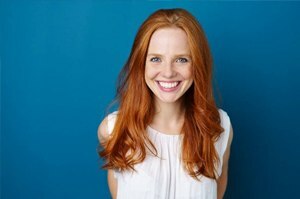 Are you ready to explore your single tooth replacement options? Contact our team today to schedule a consultation.